This post focuses on something that went right when making voice changes – shocking, I know! Yes, I did open two different TAC cases before making the changes, and yes, I did have to talk to TAC once during the actual change process, but in my book, that’s a total win. My mission, which the sys admin gave me no choice but to accept, was to change the DNS ip addresses each voice server was pointing to. Now in sys admin world, this is hardly a big thing, but in voice world, no change is so small and insignificant that cannot be made intricately cumbersome to complete. If you live in the CUCM 8.x universe, you are probably familiar now with the concept of a license mac. Changing any of the components that went into generating the precious license mac for the server invalidates all the pretty, pretty licenses you spent hours (likely even days) of your life trying to get in the first place. Changing primary DNS *is* one of those components in 8.x, so accepting your fate of needing to rehost licenses for ALL THE THINGS is step one in 8.x universe. Step two likely involves some heavy drinking. But I currently live in 9.1.2 world – so some of this misery is offset. The CUCM and Unity Connection (UNCX) teams at some point decided this whole invalidating-the-licenses-for-minor-changes deal was a suckfest, at least I’m assuming that was their thought process, so with version 9.x, changing primary DNS server ip address for CUCM and UNCX servers doesn’t upset the license mac gods. Cisco IM&P now leverages CUCM licensing in 9.x, so no rehosting required for those servers, either. UCCX, though. Of course UCCX still cares. Because UCCX. So enough background and onto the process – which is pretty straightforward considering it’s voice stuffs. Standard disclaimer, I put this list together from various calls with TAC asking for documentation and clarification on the process for each application and what to expect. Your mileage may vary, don’t take my word for it, always have a good backup, and certainly don’t blow your voice servers up. Check the docs, check with TAC. Note that for each application, the changes are made on the publisher/primary server first, then any subscribers or secondary servers. -Add the instance back to the license server and synchronize. When adding the server back, remember it’s the OS username and password that you want to be using. -This is also the process for stand alone license servers, but of course you don’t have to remove any instances from the license server or perform the Tomcat restart. set network dns primary X.X.X.X – note you will still get an error message that rehosting is required, but I confirmed later with TAC that this is just a holdover error message from the 8.x days. -Take note of the current server license MAC, put it in a safe place. I copied the contents of the license files to my desktop and took a screenshot of the current license configuration page. Because it’s voice and the paranoia with licensing runs deep. -Reboot the primary, wait for what feels like an eternity for the primary to come back up and get it’s services started, then reboot the secondary. -Take note of the new license mac and request a rehost, provide licensing with the new and the old license macs. -Load the new license file and start happy dance. Unless you hit an issue like I did and the new license won’t load. Then try another reboot of the pair, attempt license load once more with fingers more tightly crossed than before, and then proceed to happy dance. Last, but not least, my good twitter friend and awesome voice guru Ryan Huff pointed out to me this Answer File Generator tool which can be used to predict your new license mac so you can request a rehost in advance. I decided that the 30 day grace period for UCCX would be enough for this project, but it’s fantastic to know that such a thing exists. Especially if you are going to be invalidating a lot of licenses, have a very small change window, and want to go ahead and get off grace period licensing as quickly as possible*. Changing the SMTP domain on a Unity Connection server really isn’t that big of a deal, but as with all things voice, no change works as initially advertised. Previously, I had never had cause to mess with the SMTP domain address, but recently one of the major cell providers quit delivering our voice mail message notifications to devices and, not surprisingly, users were none to happy about it. My guess was that the carrier in question didn’t much like the format of the sender address, since it included a sub domain: unityconnection@myservername.mydomainname.com. I quickly decided that changing the SMTP domain on the server would easily test that theory and seemed far less painful than opening a ticket with a large service provider*. I did open a TAC case just to see if there were any caveats in making this change I might want to be aware of. That’s a whole lot of voice experience talking…err, writing. The voice paranoia runs deep for a reason. TAC indicated that not only was this a simple change as thought, but that only one service would have to be restarted – the Connection Conversation Manager, and that wasn’t to be a big deal. Well, finding that hard to believe**, I proceeded to make said change and found that there’s a little more to the story. First – there are *three* services that have to be restarted, and since two of them are critical services, you experience a failover if you are running in HA. The system does warn you this will happen, and for what it’s worth I did not experience a loss of service doing this. Certainly don’t blame me, though, if you do have an outage and aren’t in a maintenance period when you attempt this change. That being said, once the services were restarted, and my blood pressure returned to normal, I expected to see the SMTP domain updated and a happy dance to ensue. Alas, that was not the case. After consulting with TAC, and without the least bit of surprise whatsoever, I found that a reboot was “sometimes”, infer always, required. This did fix my problem and the delayed happy dance was epic. And thankfully not recorded for the sake of my remaining pride. *Almost all levels of hell are more pleasant than opening a case with a carrier. I suspect Satan actually admires the ingenuity of carriers and any future levels of hell are modeled on their expertise and innovation in human suffering. I ran into a fun* issue last week while upgrading Unity Connection from 8.6. (2a) to the latest patch SU5, and I would tell you to be sure to read the release notes on the subject, but as I found when calling TAC at 2am, the release notes don’t warn you about this particular issue. See, after the upgrade, all those precious call handlers you painstakingly configured and tested over the past few years just don’t work. At all. Not even a little. In fact, the system just routes these calls to the Opening Greeting. Much to your frustration, you can see that the extensions are still defined on the call handlers just like before the upgrade, but after the patch the system rudely snubs your call handler configuration entirely. As much as I am totally ruining the surprise of your discovering and experiencing this precious jewel of an error on your own and wondering what the heck to do about it, there is a .cop file that fixes the issue: ciscocm.cuc_86x_cdl3.cop.sgn (cco login required). After uploading the file to both servers (assuming an HA environment), a reboot of the primary and then the secondary is all that’s left to do. As it turns out, most people would rather have their fingernails pulled out one by one with a set of rusty pliers than to have to type in the first and/or last name of a user into a phone keypad. Just check the box and you’re done! *** Yay you! *See the comments section, Mike was kind enough to point out how to do this on an individual basis. I’ve never been asked to do this for a single person, but it’s good to know it can be done. Here’s a neat trick I picked up in INE voice boot camp this week*: you can monitor Unity Connection ports from a telnet session. Well, one, you are studying for the CCIE voice lab and you know that you won’t have access to the Unity Tools website to download the port monitor tool during the exam. Two, you like cool and easy ways to do things and you think installing the port monitor tool is a terrific hassle**. I happen to fall into both categories. You will see Enable Remote Port Status Monitor Output at the top if you’re in CUCM 7.x. Just check the box and enter the IP address of the router or host you will be initiating the telnet session from. Here’s a nice sample of the output before I created a voicemail account for a user – you can see the caller’s extension and the voicemail pilot. 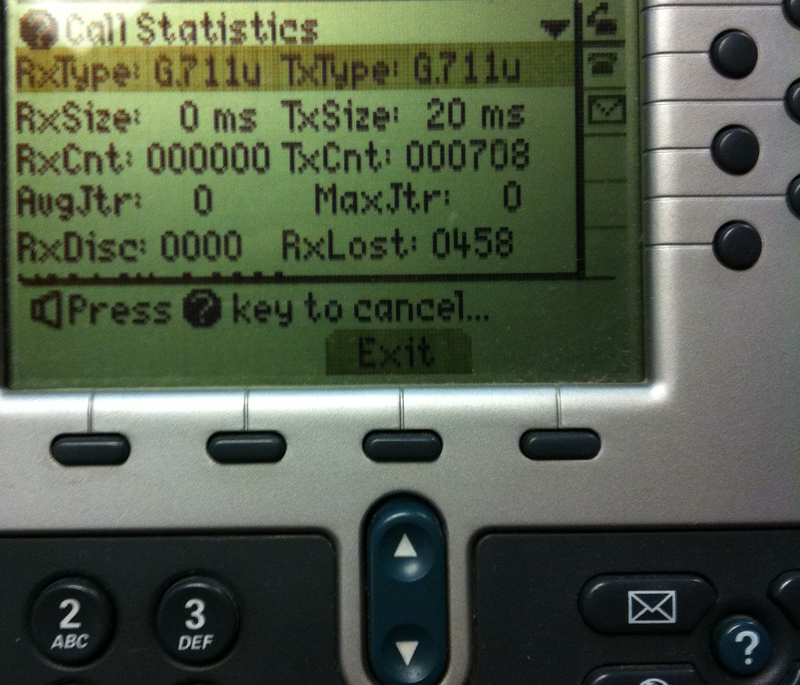 You can also see the name of the voicemail port being used. Also note that when the system doesn’t find a voicemail box it plays the Opening Greeting instead. And one final output I thought was interesting (yes I am a geek). Here is what it looks like when you enter the wrong pin, then enter the wrong ID and wrong pin when prompted again. Display, 2, 1001, Subscriber sign-in failed. Alias – myuser. Extension – 1001. Caller Id – 1001. Display, 2, 1001, Subscriber sign-in failed. Alias – . Extension – – Not Available –. Caller Id – 1001. Display, 2, 1001, Subscriber sign-in successful. Alias – . Extension – – Not Available -. Caller Id – 1001. *Credit for this tip goes to classmate Israel, thanks to him for bringing it to the class’s attention! **Last time I tried to install the port monitor tool for Unity Connection on a Windows VM, it crashed the VM. This may or may not be blamed on the tool itself, but after having to restore from snapshot, I am a bit wary of installing the tool.